One of the new custom ROMs, Chroma firmware is designed to give you maximum level of customization options. Bringing Android 5.1.1 Lollipop to your Nexus 5, Chroma Lollipop gives you various handles to customize notification styles, visuals, and much more. 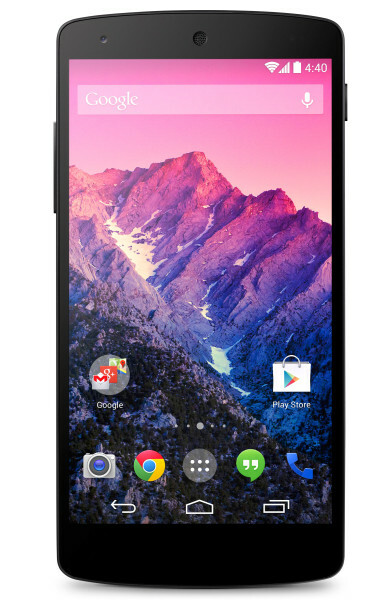 Fast, and stable, you will love Chroma Android 5.1.1 Lollipop on your Nexus 5. Download and install USB drivers for LG Nexus 5 in your computer. Your Nexus 5 should be rooted. Make sure that ClockworkMod recovery is installed. Ensure that your Nexus 5 carries more than 70% of charge. Required files: Download Chroma Android 5.1.1 custom firmware from here on your computer. Also, download GApps package from here. Connect your Nexus 5 to your PC using USB cable and copy the downloaded files to the SD card of your device. Disconnect your Nexus 5 and power it off. Now boot it in to the Bootloader mode: press and hold Volume Up, Volume Down and the Power buttons simultaneously. Follow onscreen instructions and go to recovery. Once here, use Volume keys to highlight and Power to select. Data wipe operations: go to wipe data/factory reset and confirm the operation. Also wipe cache partition and finally go for wipe dalvik cache to clean it up too. Now, select install zip from sdcard and then choose zip from Sdcard. Locate the Chroma Android 5.1.1 Lollipop file and confirm its installation. When the ROM installation completes successfully, repeat the above step for installing the GApps package. Once done, go back to main recovery menu and select reboot system now. First boot takes a little while; enjoy the sweetness of lollipop.